A unique SSTO with tri-RAPIER engines and a tandem wing layout, the Ambassador will be your choice of crew shuttle. Capable of reaching 100x100km LKO with 2.75km/s of dV left. Intended to operate on both Kerbin and Laythe; current variant designation is D.
At altitude of 15km, pitch up & maintain 20 deg. At altitude of 20km, press 3 to ignite LV-Ns. At altitude of 25km, switch RAPIER mode. At altitude of 40km, pitch up & maintain 30 deg. At altitude of 60km, pitch down to prograde. Deploy service bay and circularize at AP. 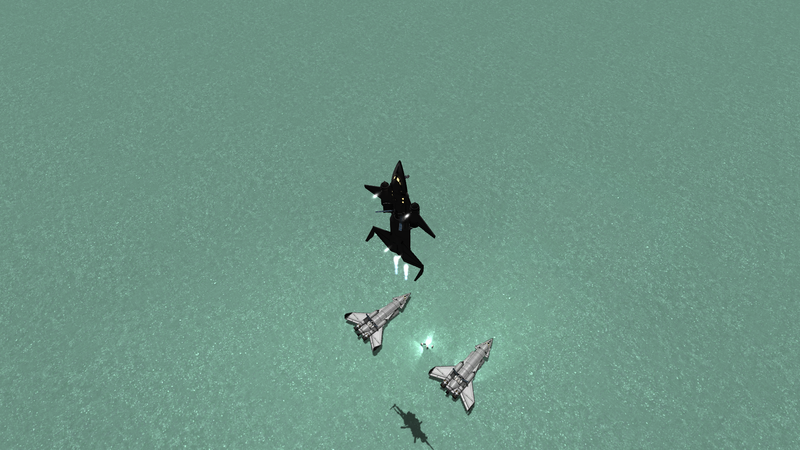 With (personally) welcomed nerfing of turb-OP-jets, SSTOs of post-1.0 era have generally inferior performance. Now, creating a SSTO with at least 2km/s of dV on orbit must include nuclear propulsion system. But this presents another problem as LV-N has a terrible TWR. This rules out high performance, LF-only SSTOs from emerging. To deal with a wide gap of safe transition speed - 200~300m/s between high TWR (RAPIER) to low TWR (nuclear) - one must use RAPIER’s closed cycle mode for a while. This resulted in the above-mentioned naming of my series. It was evident that ‘2R-1N’ engine layout reached its limit, as the Ascender had poor ascent performance. Initial ascent angle of 5 deg was definitely inefficient and to overcome this problem, an additional RAPIER engine was required. But tail-heavy designs such as the Ascender itself already had COM issue. 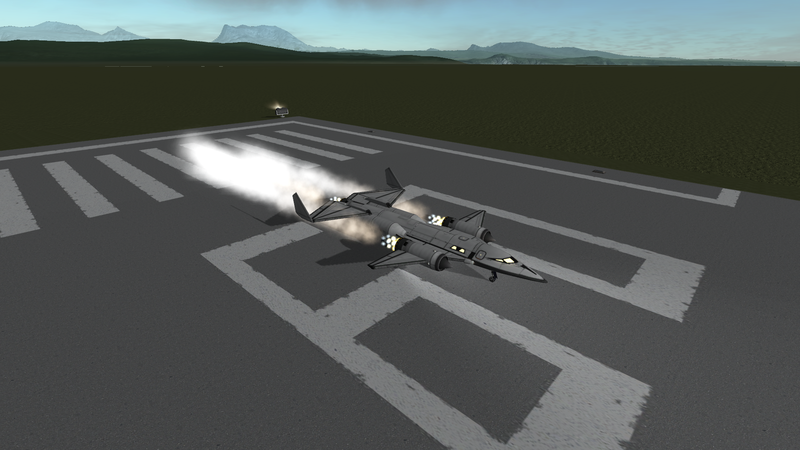 So I decided to implement tandem wing and engine layout reminiscent of CTS-3 Starlifter. And extra RAPIER engine would (and should) permit addition of another LV-N to maintain TWR. This meant that the new ‘3R-2N’ engine layout would result in heavier SSTO. The final design, now known as the Ambassador, is a huge step up from the Ascender in terms of performance. Time-to-orbit was greatly reduced thanks to improved TWR granting initial ascent angle of 10 deg, a standard for SSTO nowadays. While the Ascender had limited monopropellant capacity of 150 unit due to dV shortage, the Ambassador carries full 300 unit. Distributed engines and wings allows the Ambassador to maintain same degree of maneuverability regardless of fuel levels. 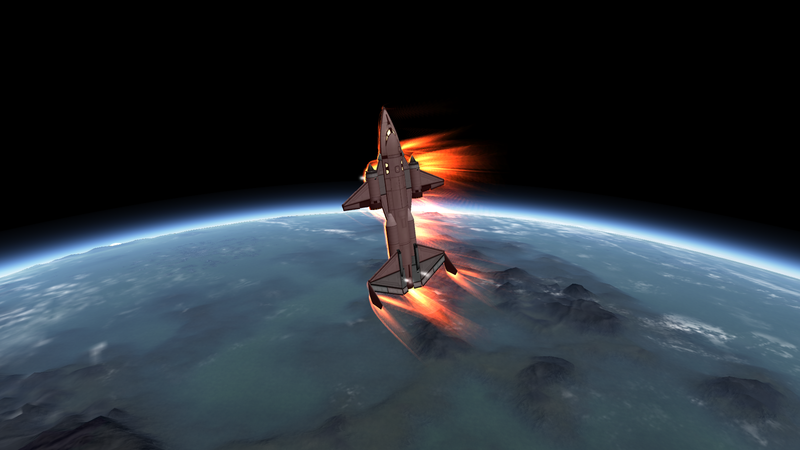 A hearty on-orbit dV capacity of 2.75km/s is a further advantage of this new SSTO. The Ambassador’s advanced design and performance culminated in development of Self-Contained Retriever variant, CNA-3IR Revenant SCR. Current variant, D, has slightly more dV capacity thanks to nosecone on each side of fuel tanks replaced with NCS adapter.